Bushey Meads School | 30th November 2018: How Strong is Your Determination to Succeed? 30th November 2018: How Strong is Your Determination to Succeed? 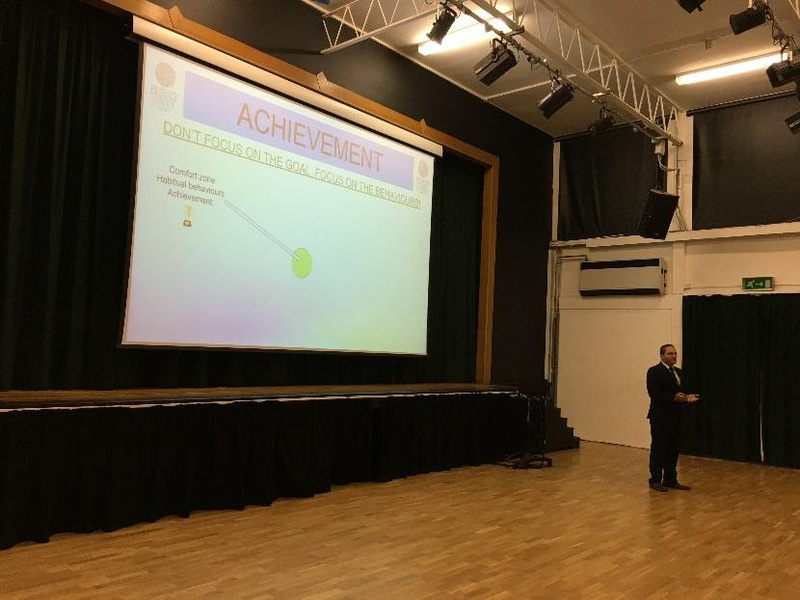 This week in our inspirational main School Assemblies, Advanced Skills Leader Mr Varsani encouraged all students to ‘get into the red zone’ – the zone of stretch and challenge where real learning and achievement takes place. He also reminded us that it doesn’t matter if we fail – to fail is simply to undertake the first attempt in learning and that failure will never overtake us if our determination to succeed is strong enough. I would like to thank all staff for their continued hard work and commitment to ensuring that all students continue to Aspire to Achieve at the highest level. This was perhaps epitomised by the very important Year 13 interview day held yesterday, preparing our most senior students for their all-important university and work place interviews which many of them will be undertaking in the coming months as they prepare for their next steps beyond our great school. As always do click on the link to read our BMS News highlighting some of the other things that have been happening this week…….